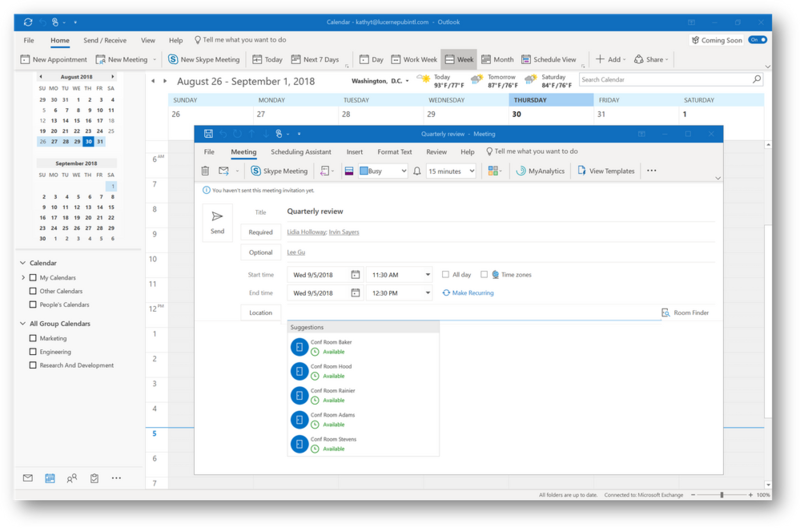 Outlook is everyone’s favourite productivity application for managing email, contacts and calendar. But over the years the massive amount of functionality available means the tool bars and ribbon area have become cluttered. That’s all about to change with a new simplified ribbon and commands area. Designed for Simplicity, It will be coming soon to your inbox! Here are is just a short summary of the changes to be rolled out through September and October of 2018. The Simplified Ribbon is now in a single row of commands that can be personalized to suit your work style and preferences by pinning or removing commands that are important to you. You can always click back to the full ribbon anytime. The Simplified Ribbon is now adaptive and scales to fit different window sizes easily by utilising drop down menus where needed. The screen layout has been updated to identify the important things more easily. Bold names, coloured backgrounds on flagged messages, smaller headers to leave more room for the message. Its all about making it easier to identify and work with your tasks. Many of our customers lose where they are in the folder pane. Too many email accounts, folders and places to store emails.. That’s about to get a lot easier with icons to identify folder types and better grouping. Sending a meeting request got quicker to perform with a cleaner layout. Both Required and Optional attendees can be quickly added. And by setting the meeting time first, the suggested Location or conference rooms become time-aware. 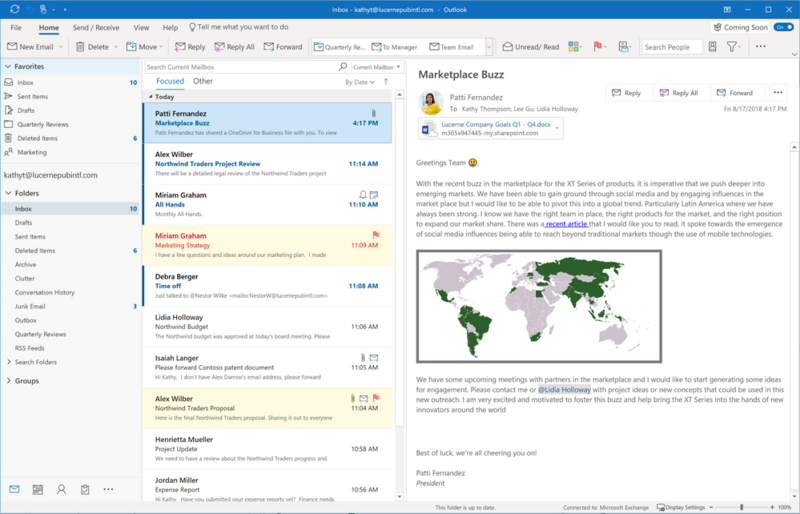 Outlook is a key Productivity tool for most organisations. We find many people spend way too much time managing their email, contacts and calendar. Often they don’t sync to their mobile device, meaning more wasted time trying to find contacts, updating calendars, forgetting appointments or not being able to quickly find emails. Jethro Management specialises in assisting businesses and individuals become more productive by better management of email, training staff in using Outlook correctly and setting it up best for your use cases and personal devices and style. Contact us today to receive a complimentary analysis of your email use.